What does home sound like? 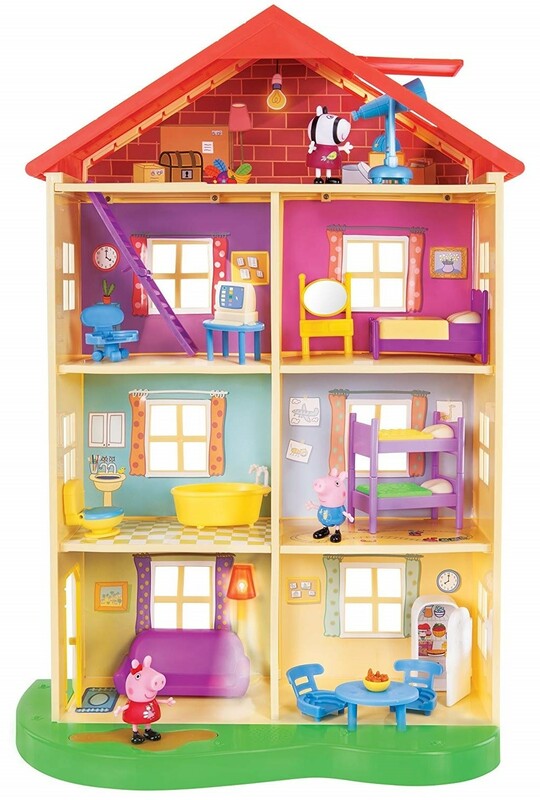 Experience all the sights, sounds, and phrases of Peppa Pig's family home and enjoy a day in the life of everyone's favorite pig! 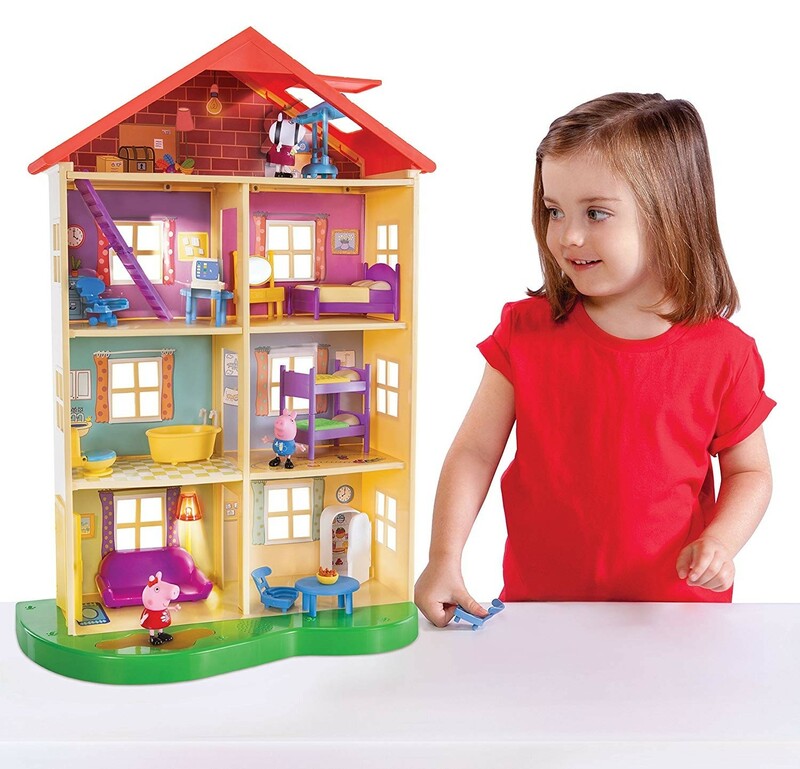 This 22" Lights & Sounds Family Home features 7 rooms over 4 floors. When you enter the house at the doormat, the living room light switches on to greet you! 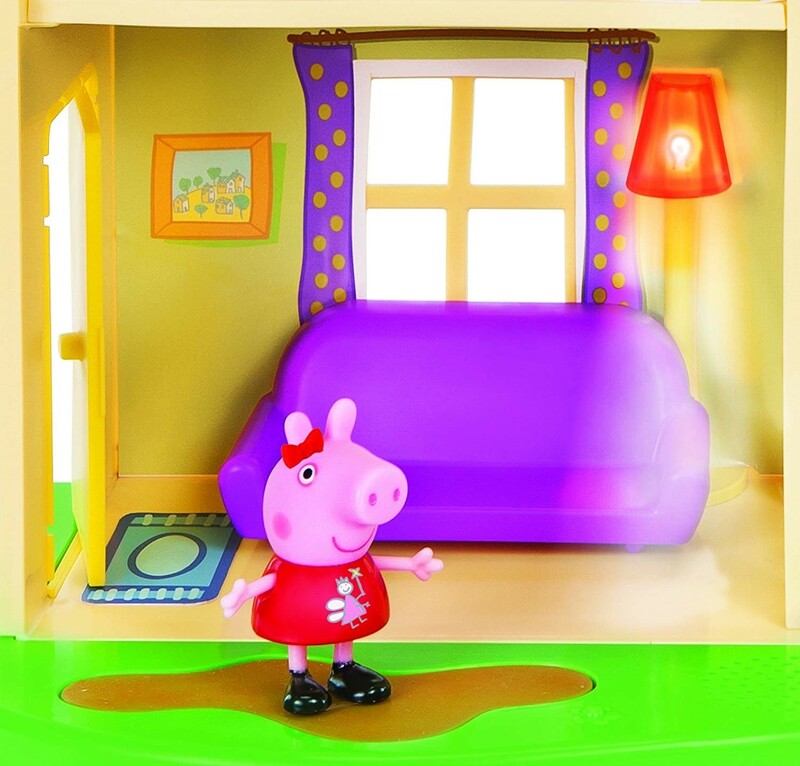 Jump in the muddy puddle in the front yard to hear the Muddy Puddles song, and press the doormat for more sounds and phrases from the show. And don't forget to look out for visitors from the telescope in the attic! 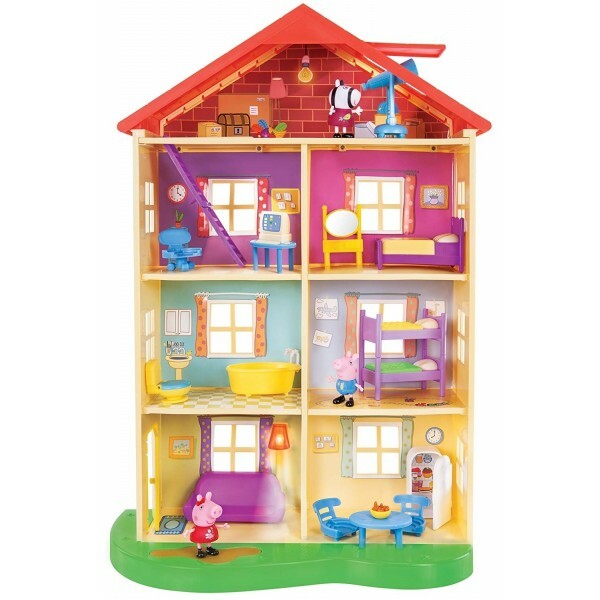 This set includes articulated figures of Peppa Pig, George, and Zoe Zebra, as well as furniture and other accessories.